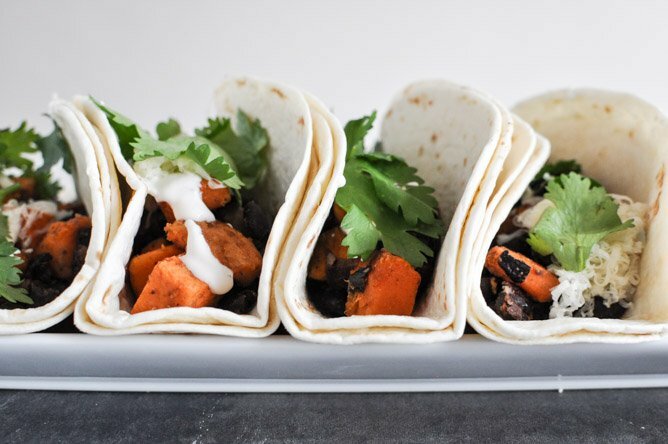 Embarrassingly Easy Smoky Sweet Potato and Black Bean Tacos. In a perfect world, I would eat nothing but tacos. 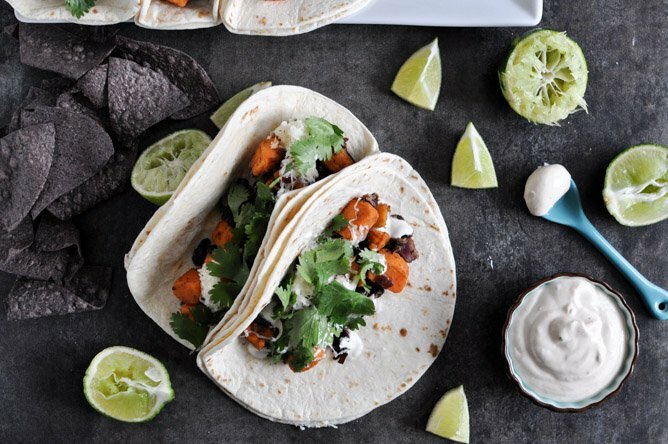 We are talking tacos for like, breakfast, lunch and dinner. Totally. I don’t think I would make any exceptions because we all know that practically anything can be reasonably placed in a tortilla. As a side note, are you realizing that I can basically justify anything in life about, well… anything? If you’re having an issue, just talk to me. I will probably justify it. It’s no secret that I have a serious infatuation with my favorite taco place that we frequent…very…often. It’s embarrassing. And I don’t think I can come close to the delicious things wrapped in fluffy and warm carbs that I receive quickly after consuming an entire bowl of queso with the freshest chips I’ve ever had in my life, but sometimes you just have to attempt something at home. Not that I truly want to. If I could have someone make me tacos for the rest of my life, it would be one of my three wishes after rubbing the lamp. Can we make this happen? Just like everything else this week, they are so easy. So freaking easy. I mean, just as the title states, I’m sort of horrified even telling you about them but then I think about the weird things that I want to wrap up and call a taco and just assume that there must be more crazies like me out there in the world. If you told me to stuff a fried tortilla shell with something like truffles (of the chocolate variety) or eggs or even mashed potatoes, I’d most likely listen because I fully believe that the planets have aligned when tacos are in my life. You probably get it now. I could eat tacos for the rest of my days and be perfectly smitten. I think I’m doing it. Season chopped sweet potatoes with salt, pepper, cumin and smoked paprika. Heat a large skillet oven medium heat and add olive oil. Add onions and garlic, tossing to coat, then add sweet potatoes and stir. Cover and cook for 15-20 minutes, until sweet potatoes are just softened and cooked through. While potatoes are cooking, combine yogurt, half and half, adobo, lime juice and zest and salt, whisking well to combine. Set aside. 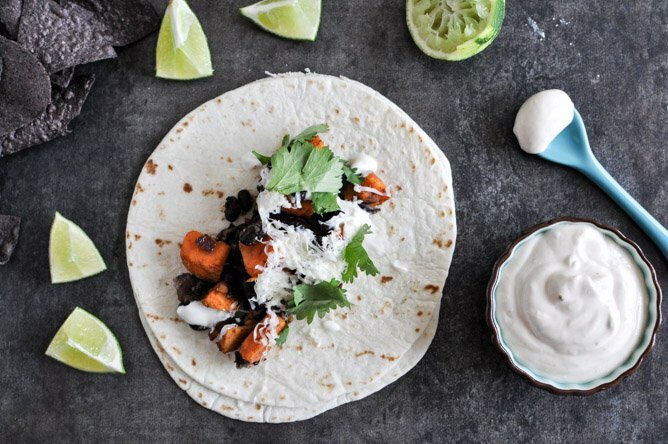 Once sweet potatoes are cooked, add in black beans and toss well. Cover and cook again for 5-6 minutes until everything is warmed through. 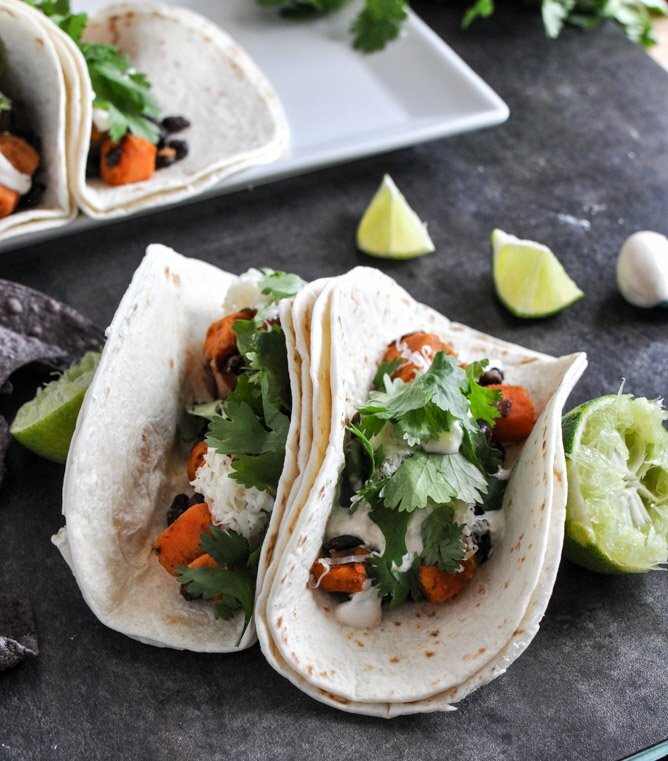 Heat tortillas and serve sweet potato mixture topped with cheese, crema and lots of cilantro! Oh and I want to spread that makeshift crema all over my entire life. These sound delicious! Do you peel the sweet potatoes? You’re not crazy. Well, you are … but not because of your taco obsession. Max and Erma’s has mashed potato and black bean taquitos, and they’re amazing, so smashed taters would make for a great taco. Egg tacos are super duper yummers with chorizo, some refried beans, avocado and salsa. Cassie could probably eat it every day. I think eating tacos for every meal for the rest of our lives sounds like a plan to me. When should I come over? The tacos look great. I love that you used sweet potato. I just made these and they were DELICIOUS — so simple and soooo much flavor! Thank you for an amazing recipe, this will definitely be a staple in our household. I have just finished making these (haven’t served them yet), but I think that there is a mix-up in the crema recipe. I think that it is suppose to read 3T half and half and 3/4 cup greek yogurt – at least that was the only way that I could achieve the consistency of the pictured crema! I am right there with you! I wonder if my mum had an affair with a spaniard, because I could eat mexican food EVErYDAY. Just finished eating these. They were every kind of awesome. I see these appearing very often on our dinner table. 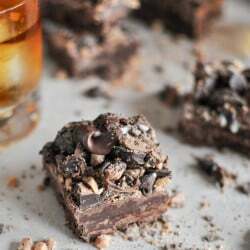 I had pinned these to my Pinterest board back when you posted them and finally made them last week, and we LOVED them! Thanks for sharing that fun idea! 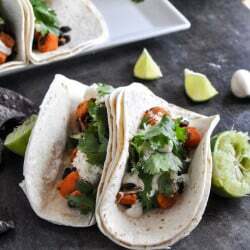 what an easy and unique idea for tacos!! so fun! Just made these and loved them! The sweet potato was perfect with the lime crema and with the beans it was very filling. Thanks! I just made the crema and it is really thin. When I look at your pictures it seems to be more of the yogurt texture, but with only 3 T of the yogurt to 3/4 cup half and half I’m not sure how to get that consistency. Does it thicken in the fridge?